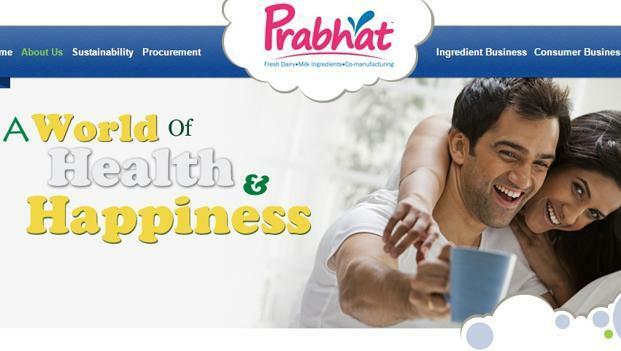 Prabhat Dairy’s IPO remained undersubscribed on the final day of bidding. The IPO of the Ahmednagar-based dairy had received only 28% subscription by 7 PM today, according to combined data available on NSE and BSE. The company was aiming to mobilize funds between INR505.8 crore and 516.1 crore through the IPO which was priced in a band of INR140 – 147 per share. Following the poor response, the IPO has now been extended through 4 September while the price band has also been reduced to INR115 – 126 per share. A discount of INR5 per share for retail investors will also be applicable. Rabobank and Proparco were looking to substantial reduce their shareholding in the company through the IPO. At 37%, subscription was highest in the Qualified Institutional Buyer (QIB) category as investors placed bids for 67.85 lakh shares. A total of 1.82 crore shares were reserved for the category. In contrast, participation from Non Institutional Investor (NII) category was almost zero. Investors stayed away from the IPO and placed bids for only 6,120 shares, against 54.6 1lakhs shares available in the category. Despite a discount, subscription in the Retail Individual Investor (RII) category was 26% with bids of a total of 32.92 lakh shares. Unlike most other IPOs, Prabhat Dairy did not rope in anchor investors which made the going difficult for the IPO. While several brokerage houses including Way2Wealth advised investors to SUBSCRIBE, it was a no brainer that a price by earnings (P/E) ratio in excess of 45 times was simply too much for a company which earned a margin of 2.1% in the latest financial year. We like the steady growth of Prabhat Dairy but valuations of are evidently high as they have been in IPOs this year. This is another example of steep IPO pricing that can leave investors high and dry in volatile market conditions. Prabhat Dairy has become second IPO this year to extend the subscription dates and reduce price band. Earlier in March, Adlabs Entertainment met with the same fate. Adlabs Entertainment is still trading below its IPO allotment price which was reduced after the poor demand.